Categories: New Releases, Quilts / Wall Hangings. 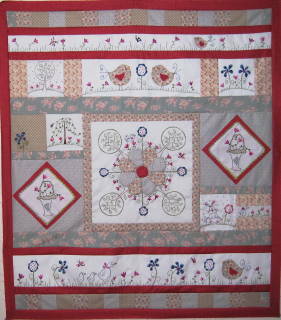 A Quilted Garden comes in a book form and features this quilt which is contains both stitchery and applique. completed it measures 35″ x 39″. I hope you enjoy the nice vibrant colours of the stitchery!